Dixon… State Representative Tom Demmer (R-Dixon) was appointed to several key committees as the new legislative session begins. Rep. Demmer will serve on committees that are especially important to constituents in his district, including those overseeing healthcare, education, and agriculture. In all, Rep. Demmer will serve on the following eight committees; Agriculture and Conservation, Higher Education, Human Services, Elementary & Secondary Education – Charter Schools, Health & Healthcare Disparities, and Youth & Young Adults, in addition to the Appropriations committees for both Human Services and Elementary & Secondary Education. “We are facing a $6 billion dollar hole in the budget for FY15. 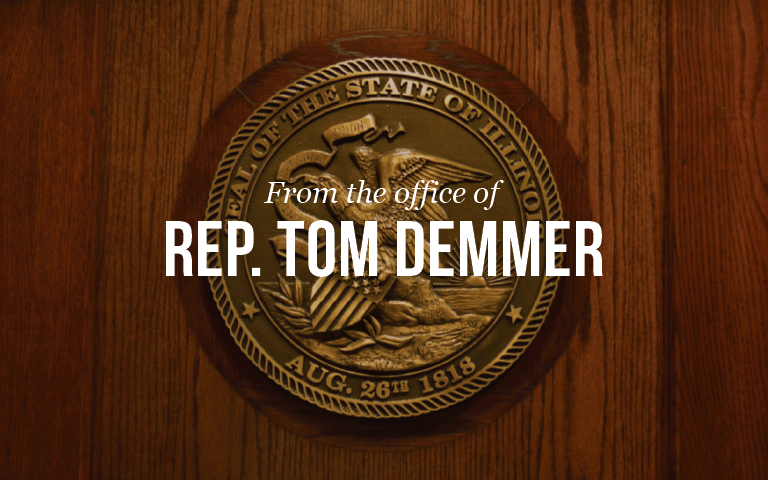 Appropriations for the two committees I will be serving will bring some unique challenges, but we will work to make sure funding is a priority for these areas, especially education,” added Rep. Demmer. Constituents can find more information on committee assignments by visiting the State website (ilga.gov). The website also provides a full calendar for this year’s spring session and committee schedule. The links below will take you to the committees homepage.